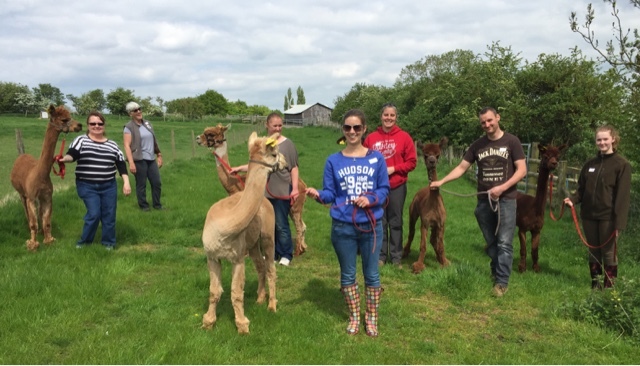 Lovely day yesterday with a cold breeze but a lot of bright sunshine as we ran the 2nd TOFT Alpaca Husbandry Introductory of the year on farm. Here's a shot so some very happy and now knowledgeable alpaca enthusiasts. Thanks for choosing to come to TOFT to increase your awareness and experience with alpacas. We trust you went home with all your questions answered and your heads spinning with the wonderful world of alpaca. Thanks for your sense of humour and your company and we wish you well with your own alpaca adventure whatever that may be.